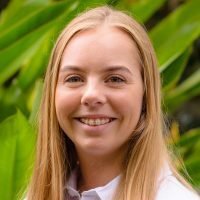 Loren grew up on the far north coast and completed her schooling in Ballina before travelling and working abroad for a few years. In her time overseas Loren supervised and managed a luxury cleaning company. She started with Elders in May 2018 as our Leasing Consultant. Loren is hard working, friendly and a great addition to our Property Management team. Would you like to speak to Loren? If you’re thinking about renting or selling your property and you’d like a clearer picture of how much your property might be worth or want to have an informal chat about general property market trading conditions, Loren will be happy to arrange a full market appraisal of your property.